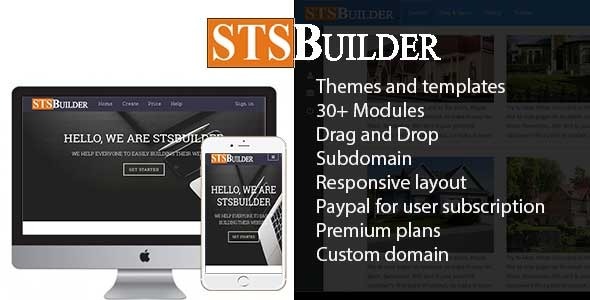 A Drag and Drop, Multi-user Website Builder Script, which allow you start your bussiness with a profressionial website builder service. It allow your users to easily create a responsive website in a few clicks. The created sites are fully customizable through a Drag and Drop, realtime editing interface.